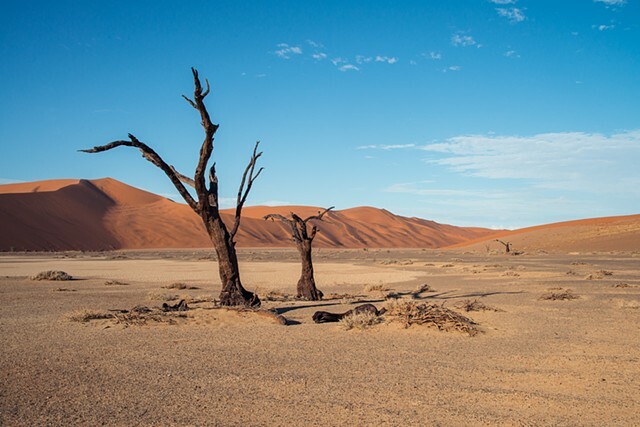 Sossusvlei is a national park in Namibia, there are huge sand dunes shifting and moving in the strong winds. The trees are hundreds of years old and don't rot as the desert air is so dry. Hidden Vlei is where this photo was taken (Vlei means lake) and the site is impressive.